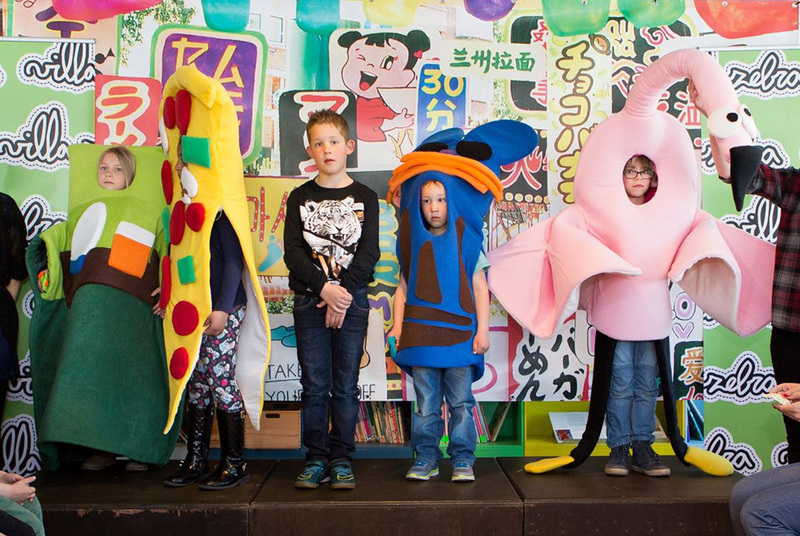 During the second edition workshops ‘What’s your favorite….’ in Villa Zebra (children museum Rotteram), we asked young visitors from 4 to 12 years old: ‘What is your favorite Spring Vibe?’. After they draw their ultimate ‘Spring Vibe’, children translate their drawings in mini finger puppets. We got wonderful and surprising results from the young designers! From bees to flowers, from a fantastic blue baby tiger to a stylish flamingo. Together with Villa Zebra we continued the workshop at the elementary school ‘De Schalm’ and asked the children how they feel about Mother’s and Father’s day. We found out children really love to go out with their parents, playing silly games or cook nice dishes together. 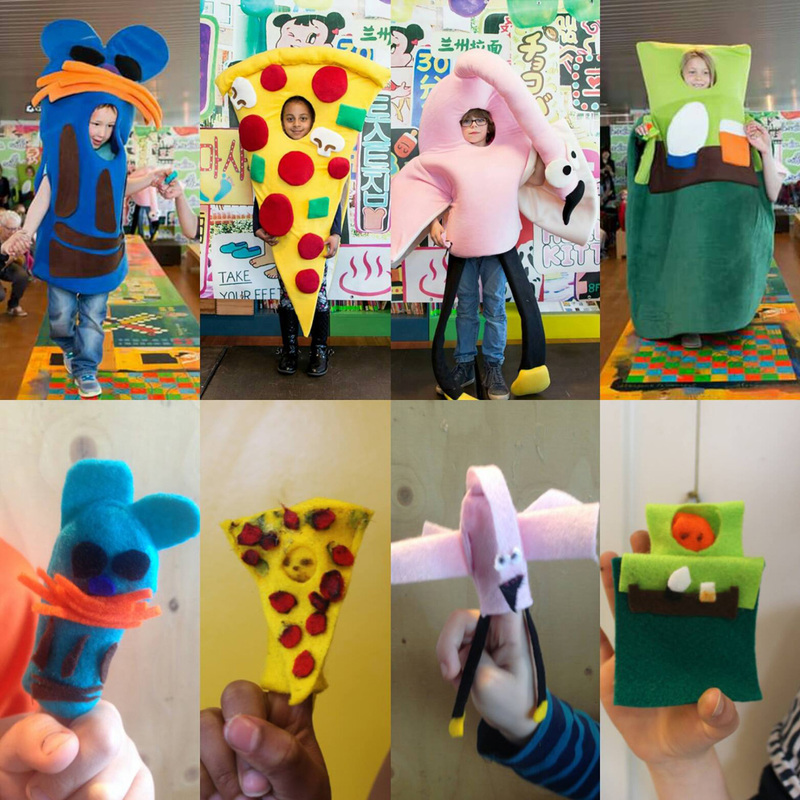 After many inspiring finger puppets, we chose four special designs and turned them in real-life suits! The four new Spring Holiday suits are: the sweet Blue Baby Tiger, the Joyful Flamingo, the Papa Pizza and the Bed-and-Breakfast for Mama. The happy winners presented their new suits during the big Catwalk in Villa Zebra!